Today marks the 16th anniversary of the publication of my first book, Love Is the Killer App: How To Win Business and Influence Friends. 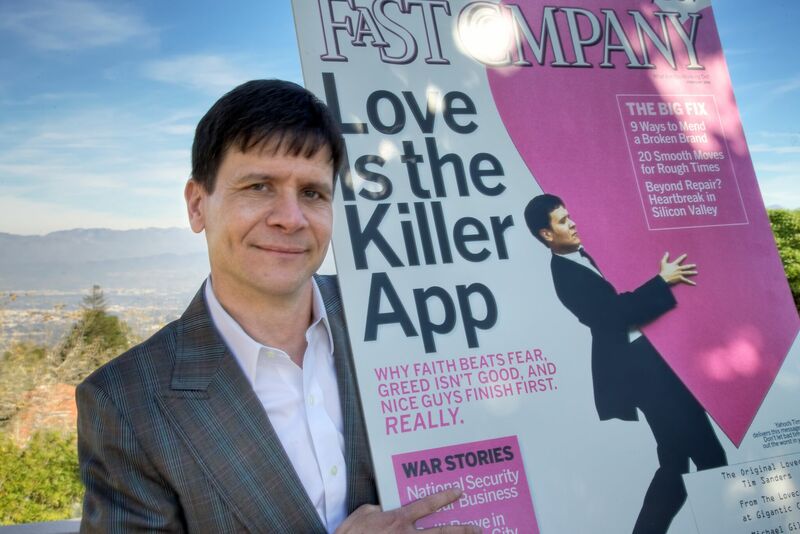 It seems like yesterday when Fast Company got behind this book, featuring it on the cover of the February edition in 2002. The key message of the book is that you will find meaning and build a powerful personal brand by sharing your three key intangibles: Knowledge, Network and Compassion. Not only has this practice worked for me, it’s helped thousands of people just like you find success in their business lives and projects. Since the book came out, I’ve circled the globe, speaking about Love at over five hundred conventions, conferences and company meetings. Along the way, I’ve gathered feedback and stories from my audiences that’s helped me keep my keynote updated and most of all, highly actionable. It’s a topic everyone can contribute to. In the last few years, I’ve been focusing my remarks on how to be a more effective mentor, super-connector and empathetic listener. It follows along with my belief that when you care about someone, you accept their feelings, understand their needs and give them a gift for the next step of his or her journey. Most importantly, I’ve morphed my speeches into a discussion about how to integrate love and compassion into how we lead others and how we serve people inside and outside of our company. Take a minute to watch this 6 minute video (Leading with Love), taken from my appearance at the ISACA annual convention. My key message: Put love at the center of every one of your decisions.